Ideas for Community Service Projects: How Can I Help? Whether it’s reconstructing a playground, visiting an elderly home, or clearing trash from a nearby creek, a community service project is an excellent way to bring about change on a small, intimate level. But before grabbing the work gloves, make sure that your project has a specific focus. Here are some ideas to help get the project started. 1. Help people paint and repair their homes. 2. Volunteer to clean up trash around a neighborhood. 3. Create a mural that depicts values of your community. 4. Set up an art exhibit at a local business, sell the creations, and use the money to fund a cause in your community. 5. Collect supplies for persons who have been victims of a fire or other disaster. 6. Plant a community garden. 7. Organize a campaign to raise money for new playground equipment, or reconstruct the playground yourself. 8. Share your skills! Volunteer to teach a class at a community center. 9. When fall comes around, distribute leaf bags and offer to assist neighbors with raking their yards. 10. Campaign for additional lighting along poorly lit streets. 1. Volunteer at a Special Olympics event. 2. Work with kids who have special needs on an art project. 3. Set up a buddy system with the special needs program at your school. 4. Raise money to purchase Braille books, large print books or other needed materials for the special needs program at a local school or community center. 5. Make gifts with friends for kids in the hospital. Distribute Valentines, Halloween candy, or Christmas treats/toys. 6. Build a ramp for a person in a wheelchair to make their house more accessible. 7. Volunteer to read books or newspapers to those who are visually impaired. 8. Visit a local care center to learn more about those with special needs, and ask how you can help. 9. Recruit some friends or a class to help set up a library at a children’s hospital. 10. Create a pamphlet that includes helpful tips concerning the respect of and interaction with people who have special needs. 1. 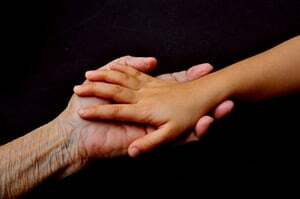 Adopt a “grandfriend”. Write them letters, call them, and visit often. 2. Gather friends and create a “shop squad” to pick up groceries and medicine for elderly. 3. Deliver meals to homebound individuals. 4. Gather family and friends and organize a summer songfest or play to perform at a nursing home. 5. For the holidays, go caroling, bring (easy-to-eat) treats, or just go and visit senior citizens. 6. Offer to read to people. 7. Provide your local nursing home or library with more large-print books. 8. Teach a senior how to use a computer or the Internet. 9. Call up elderly people who live alone to check if they need anything. 10. Volunteer to do general home maintenance for a senior citizen. 1. Help cook/serve meals at a homeless shelter. 2. Throw a birthday party for children who are homeless at a local shelter. 3. Organize a free, public nutrition awareness campaign. 4. Gather combs, toothbrushes, shampoo, razors, etc. to make “I Care” kits for people who are homeless. 5. Take children who are homeless on outings to a movie, zoo, or other fun location. 6. Hold a book drive and donate the proceeds to the shelter, and then hold a read-a-thon or give a class on basic reading skills. 7. Donate art supplies to the local shelter. 8. Offer to repair or alter clothes for people who are homeless. 9. 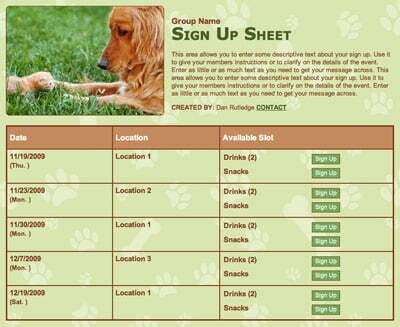 Campaign to create a nursery in your local shelter, or help maintain an existing one. 10. Always keep a few granola bars on hand! 2. Gather newspapers and give to a local animal shelter. 3. Learn about raising and training a pet to give to a disable person, and consider whether it is an option for you and your family. 4. Visit and volunteer at a local aviary, zoo, or wild animal rehabilitation center. 5. Organize a community dog wash, and donate the proceeds to organizations that aid animals. 6. Locate homes and shelters for abandoned pets. 7. Start a Chow Drive for the community to donate food and toys to a local shelter. 8. Offer dog-walking services to those who can’t (or won’t) give their pets the proper amount of exercise. 9. Take pictures or videos of pets that are in the pound and use them when organizing a supplies drive. 10. Adopt a pet! Or, if this is not an option, volunteer to become a temporary foster parent for a pet in the pound. 1. Clean up trash from a local outdoor space. 2. Organize a hike or nature walk with friends, and bring bags to collect trash along the trails. Click here for an example sign up. 4. Grow your own vegetables, fruits, and herbs in an organic garden, and encourage others to do the same. 5. Instead of using the car, choose the healthy route and bike to your next location. Burn energy, not gasoline! 6. Choose a family “energy watchdog” to shut off lights, television, and dripping sinks when not in use. 8. Create a children’s nature garden. Create a path, label plants and trees, and schedule guided tours. 9. Purchase recycled products as opposed to generic ones. 10. When buying food or drinks of any kind, it is better to stick to a large jug or tub as opposed to a collection of individually packaged goods. 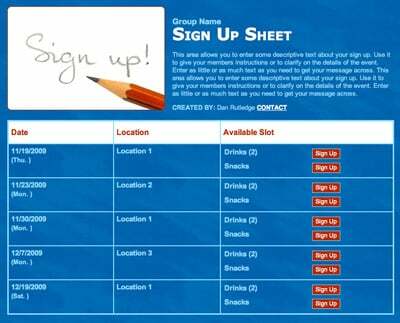 As you put on those work gloves, keep in mind that SignUpGenius is an invaluable tool that can be used to organize events of any sort. We appreciate your efforts to change the world, one step at a time! This website helped me sooooo much with my writing! I am using these suggestions as a guide to help my son. he wants to get involved in helping the community and I printed out the article so he can check off what interests him. I hope to plan one event a month. Wow! THis site is great! Everything is a step to helping is important, this website is awesome! The greatest way of helping one and the others ! i have been thinking lately of what i can do to help my community, but i think with these tips i can better think of something. thank you very much, may you continue to be inspired to write more. I'm Hyacinthe from Madagascar. This is really great and helpful. Never forget that we all depend on eah other. great information as well as good motivation. It helped me design work according to the need of my community / neighborhood. This is going to help im 12 and i am going to do these this summer to help out. THANK YOU VERY MUCH FOR YOUR CREATIVE MESSAGE. I NOW KNOW HOW I CAN RENDER HELP TO MY COMMUNITY EXACTLY. You're welcome, Erica. I'm glad the article was helpful! I have this great vision on what we can do to save our world, and I'm simply just doing research on different ideas. But this website was very informative Thank you for more knowledge!! Based on the situation in my country, and condition of poorly managed hospitals, we at The Aman Foundation engaging our employees and volunteer spent a day cleaning and beautifying a government operated hospital. You can check our FB page of how the society benefited from this. this is a good website to tell about how we can give back to the community in a great way that people will appreciate in the future. Thank you so much! These ideas will really help my community to be a better place! Wow! Thanks this helped me learn so many things on how to better the community. Can't wait to get a Grandfriend. This is such a great site/artical. kids in my school don't think about this kind of stuff, and I think that more kids should do this kind of stuff, and this is so empowering to do more in my committed. Omg I want a granfriend!!! If you would like to create an account at SignUpGenius you may click "Log in" at the top of the page. 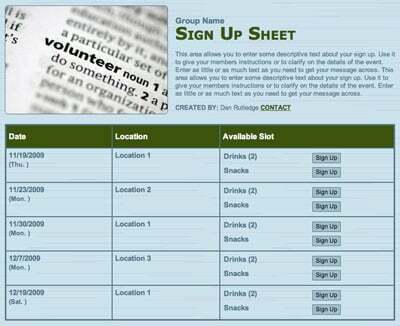 In order to volunteer with a particular group on our site you must have a link to a sign up. If you have other questions, please contact our support team from the "Help" tab at the top of the page so we can assist you directly. Thanks! This is a very very good move i have read, and this will increase my knowledge in my community activities because iam a community officer, and iam requesting in how to join this great team? please how can i? Thank you so much :) This really helped me with my school project, these ideas are really good and I can't wait to try some of these out. I am trying to find fun ways to Fundraise. Well this is helpful but what if you cant do any of this stuff.... Is there anything you could do just for your neighborhood? This is a very awesome and great aritcal. Amazing! Thanks, Sylva! We're glad to hear the site and this article are helpful as you serve through IIMAC Nonprofit Org. This is wonderful and educating I love you guys. I recommend this site from the founder of IIMAC NOnprofit Org.